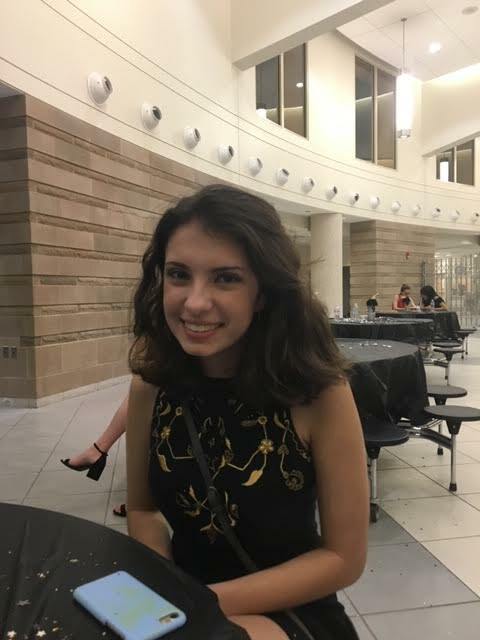 Sydney Crowley is a TMHS student currently in her Junior year, an honors student and an enthusiastic history pupil. She is an avid tennis player, a member of the Junior Classical League, and a 3x AP student. Outside of school she is a German language student, a Sunday School teacher, and a real history buff. RS: How has your transition from the first half of High School to the second half been? SC: More fluid than I thought it would be. The first half was less work, but the transition to AP not as hard as I thought. RS: Has your life changed in a non-academic (social) way? SC: I went from trying to keep many friends, to only seeking out organic friendships. RS: How have you changed your study habits in High School? SC: I went from not studying to occasionally studying, and had to start using an agenda. RS: What have been some of your favorite extracurriculars? SC: Its less of a club and more of a community, we enjoy each others presence. RS: Have your extracurriculars conflicted with your school work? SC: Yes, they take way too much time, and way too much energy, and so I sometimes feel like they are a waste of time. RS: How would you fix this problem? RS: What do you think the people who overlook tennis are missing? SC: A lot of other teams are not as accepting, and we have a variety of people/skill levels. Also, you can’t beat the boys’ Coach, ‘Cool Rick’. RS: What do you feel you have gained from TMHS that you would not have from another school? SC: I appreciate the unique academic staff that Tewksbury possesses. RS: Is there anything you would change about the TMHS community? SC: I would reduce elective requirements to allow for more exploration. RS: What electives would you take given the chance and why? SC: Film or creative writing,in order to explore my creative capabilities. SC: I have been sure for so long [that I wanted to study at a college], but recently I have been questioning myself. RS: What challenged your original plan? SC: AP classes made me realize I would not be totally happy analyzing documents and studying hard sciences for the rest of my life. RS: What’s something you’d like to try in college that you didn’t/won’t get the chance to in High School? SC: I would want to explore academics for the pure purpose of academic enjoyment. RS: If you were to become a teacher, what TMHS teacher would you most like to emulate?